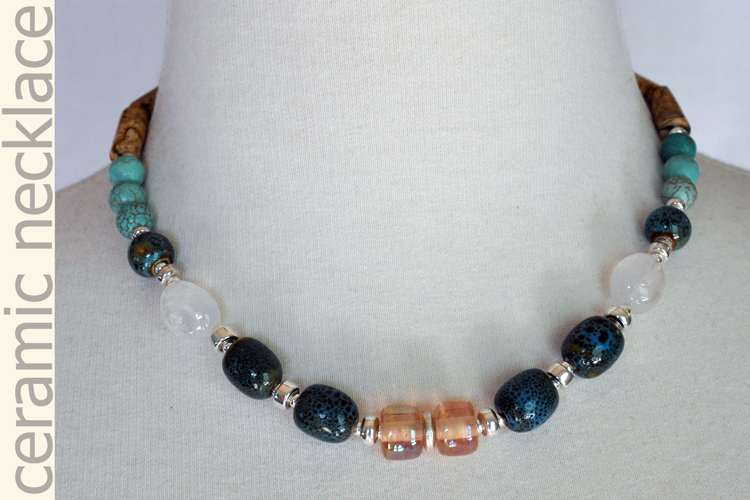 Speckled blues and pale neutrals make for a nice contrast in this 16" necklace porcelain, glass and stone. 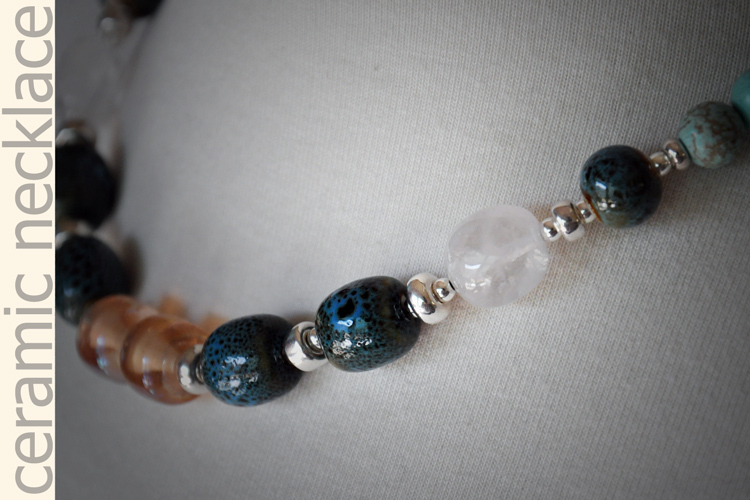 Ceramic is a larger category describing anything made from heat hardened clay, and the necklace features rustic charm of mottled materials that have the look and feel of my favorite ceramic pieces. Although a 10 lb. load test doesn't sound robust, it is stronger than one may think! 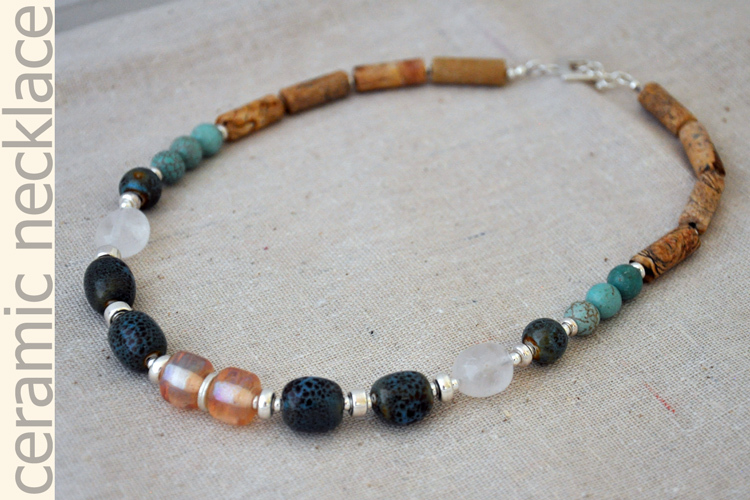 This necklace should withstand plenty of "loving" from inquistive hands. The beading cord may fray and break if rubbed against rough edges, and the necklace is likely to break near the clasp with a sharp yank (such as catching it on something while moving forward with full body weight). 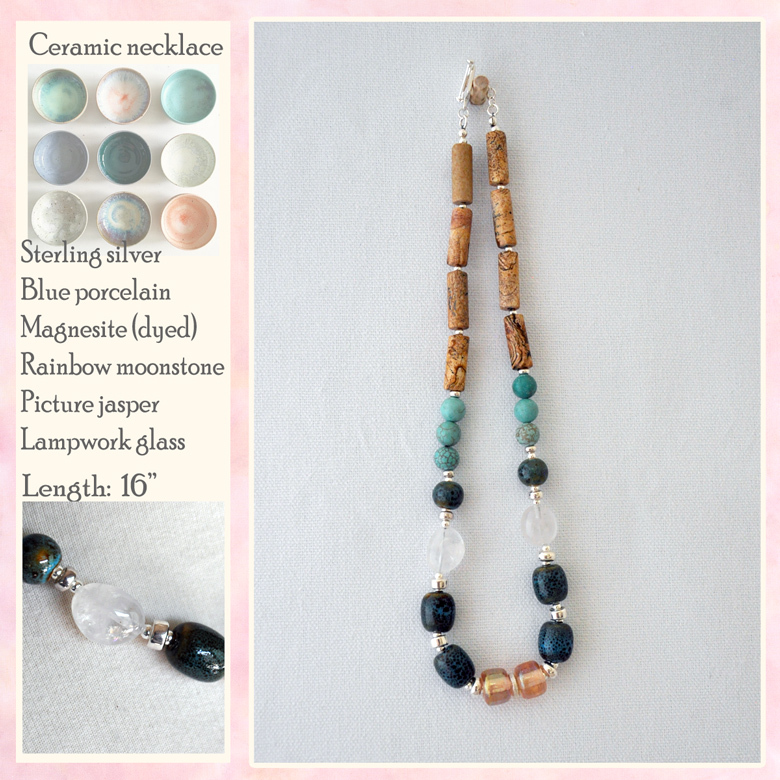 Magnesite is a soft material and beads may chip or break if dropped or stepped on. 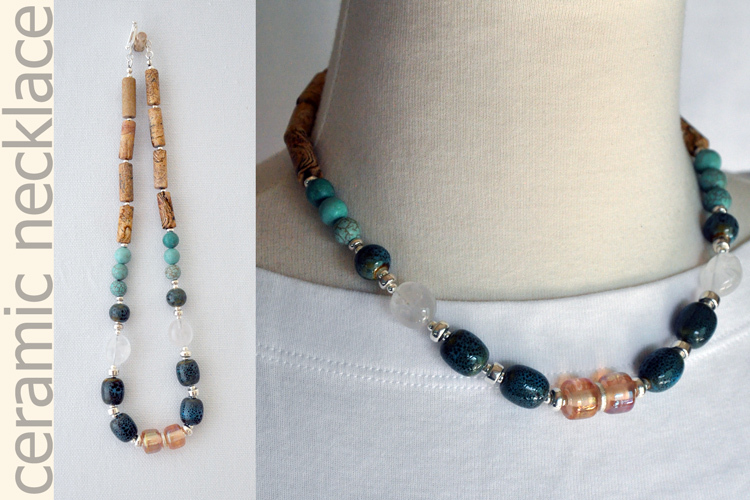 As with all beaded jewelry: do not let young toddlers chew on it.